On Sunday, September 18, St. Mark’s Lutheran Church in Auburn, Indiana left the building. 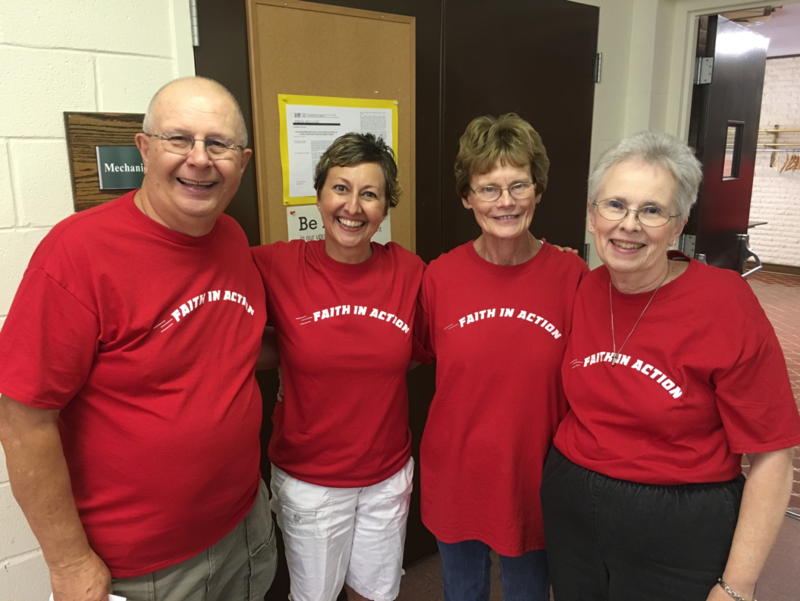 After gathering at the church for a time of communion, 90 members—from 5 years old to 90 years old—from St. Mark’s joined members from Auburn First United Methodist Church, all dressed in bright red, Faith in Action shirts - in serving our community. This event, called Faith in Action Day, was an amazing opportunity to share our faith with our community as we serve others! We participated in Faith in Action Day because, as a church, we believe that God has called us to be for our community; to care for it and seek its well being. For us, Faith-in-Action Day is not just be an event to do one day a year, but an opportunity to reveal to our church the ways to care for Auburn. We also have the goal of this being an ecumenical movement in our community, bringing churches together in serving Auburn, and were happy that Auburn First United Methodist church would partner with us in this. The two churches broke into teams, each team a mixture of people from each church, to attack projects around town. 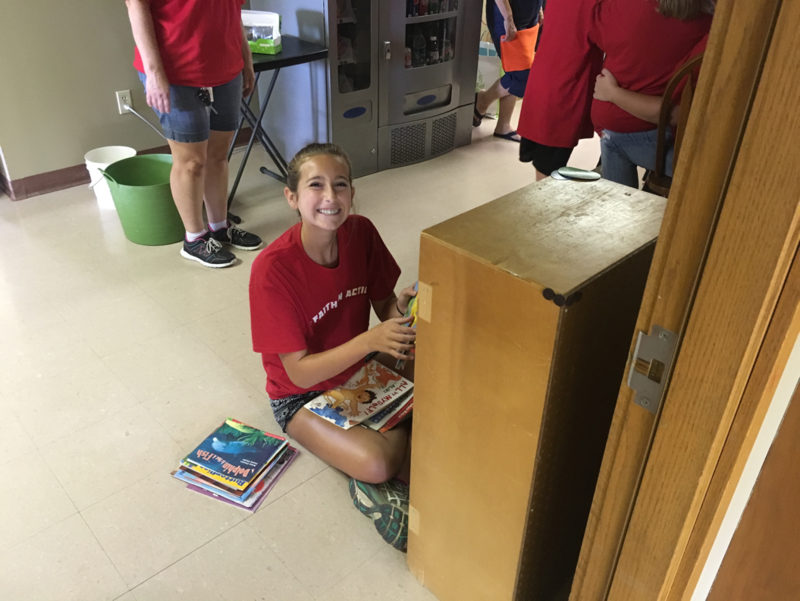 The projects included painting fences, serving nursing homes, cleaning buildings, removing invasive plants, sprucing up a cemetery, letters to veterans, care kits, and passing out baked goods and sewn items to local organizations! What an amazing opportunity we had to serve our community, to bless Auburn with the love of Jesus Christ! If you have any questions about having a Faith in Action Day in your church, we would love to talk with you about this! Email pastordan@stmarksauburn.org with any questions.